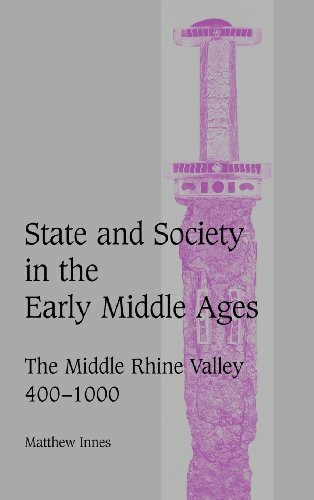 [PDF] State and Society in the Early Middle Ages: The Middle Rhine Valley, 400-1000 (Cambridge Studies in Medieval Life and Thought: Fourth Series) | Free eBooks Download - EBOOKEE! Description: This book shows just how much can be discovered about the so-called "Dark Ages," between the fall of Rome and the high Middle Ages. Whereas it is believed widely that the source materials for early medieval Europe are too sparse to allow sustained study of social and political relationships, State and Society in the Early Middle Ages offers a detailed analysis of the workings of society at the heart of Charlemagne's empire, and suggests the need to rethink our understanding of political power in this period. No comments for "[PDF] State and Society in the Early Middle Ages: The Middle Rhine Valley, 400-1000 (Cambridge Studies in Medieval Life and Thought: Fourth Series)".